Another long podcast, this time with the blogger William of Ockham during which we discussed business, economics, feminism, gay rights, rugby, and more. He lives in Australia meaning we had to do it over Skype, and unfortunately the sound quality suffered greatly as a result. Hopefully the subject matter is interesting enough for you to ignore the shortcomings in the sound. The good news is you can hear my side of the conversation just fine. If you liked this podcast, please consider supporting me on my Patreon page. 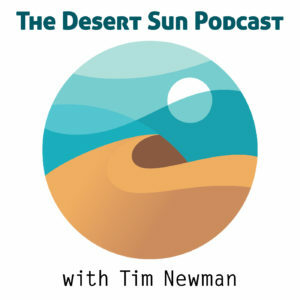 This entry was posted in Podcasts by Tim Newman. Bookmark the permalink. The audio quality from your guest is just terrible, it’s quite hard to make out what he is saying at times without concentrating on his every word. Good subject material though. That’s how I sound in real life you unsympathetic sod. Not sure how you produced this, but some podcasters doing remote interviews get the other side to record locally too and then stitch the audio tracks together. But I guess that assumes that the poor quality is due to Skype rather than, say, a dodgy laptop mic or whatever, and I have no idea how hard that is to do. Not sure how you produced this, but some podcasters doing remote interviews get the other side to record locally too and then stitch the audio tracks together. That’s exactly what I should have done. Instead I recorded both parts separately at my end. Consider it a lesson learned. Oh, and get a better guest who doesn’t mumble, obvs. Or pay the lousy $20 for a clear as a bell telephone connection. I guess Bill wont be interested in me getting him some of the highly sought after tickets for the forthcoming Reserve Bank Governors Speech – “Thirty Years of Economic Growth” where he will outline to the worlds very interested central bankers how our miracle economy has remained the envy of the world for so long. How do you go about converting that into .mp3? Au contraire, I’ll meet you there. I assume I just ask for the “plus 1” for the pair of tickets held for Bobby Chariot? Not sure if that is a genuine question, there are many options for doing this, at the risk of being sucked in, google it. Belief bias is an extremely common and therefore significant form of error; we can easily be blinded by our beliefs and reach the wrong conclusion. Belief bias has been found to influence various reasoning tasks, including conditional reasoning, relation reasoning and transitive reasoning. “How ya diddlin’? Bloody sod ya, then”. A phrase sprang to mind listening to this discussion of mercenaries being hired out of the non-headcount budget, and the real work being outsourced to less-politically-visible subcontractors. Oh and on the question of ‘how do you do welfare for blue collar work’: tariffs. Tariffs on manufactured goods are cheap to administer (compared to corp or income tax), encourage capital investment in the country, and minimise the governments ability and requirement to pick winners. Of course the costs are passed on to the consumer, but this way the desired effect is a direct consequence of the policy, rather than also requiring some government bureaucracy to spend someone else’s money wisely on someone else. You could do the same for white collar work. Rather than the political football of the ‘shortage occupation list,’ make a market; issue as many work visas a year as you like, but it costs the sponsor £75k per visa per year. You sure you can’t train a Brit to do that job?